But I say the same about a half dozen other Ford films: Stagecoach, The Searchers, The Quiet Man, My Darling Clementine, The Man Who Shot Liberty Valance, Young Mr. Lincoln. I’ll probably say it about How Green Was My Valley the next time I watch that, too. Interesting compare/contrast with Raoul Walsh’s Custer film They Died with Their Boots On. Walsh takes a real figure and makes him heroic, entirely in the face of history, Ford takes a fictional figure and matches him to anti-heroic history. John Wayne’s character whitewashing Thursday for the press is more subtle than the same scene in Liberty Valance. He turns Thursday into an ideal, a symbolic figure with no basis in the reality we’ve just seen. Despite the false image, the unjustifiability of their war, the heroism of the cavalry is very real. See also Two Rode Together, where Ford makes explicit the critique of pioneer racism he showed in The Searchers, for the benefit of those who didn’t get it the first time. Thursday doesn’t hate Indians, he just sees them as less than human. Barely a step above the Irishmen he finds himself surrounded by on the frontier. He despises the corrupt Indian agent, but treats him with more respect than anyone else he meets because his title as a representative of the US Government gives him a class status the others can’t match. Even Ward Bond’s Medal of Honor isn’t enough in Thursday’s eyes: it’s not what a man does, but what he’s called. Social mobility is an impossibility. And yet, Thursday is obsessed with the fact that he’s been unable to rise in the ranks. 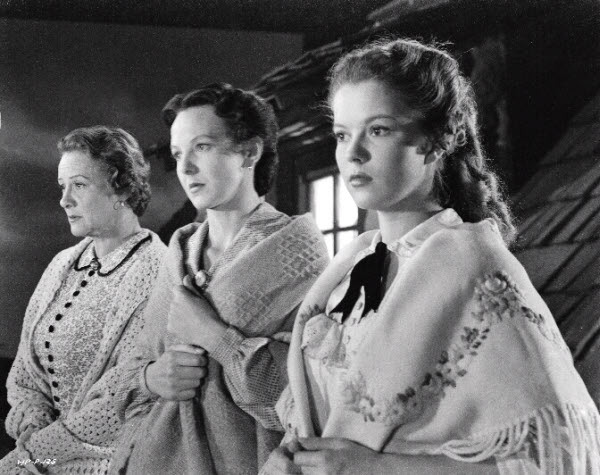 Shirley Temple is terrific as the marvelously named Philadelphia Thursday, openly lusting after John Agar with an intense, Judy Garland-esque stare. Cinema lost a great deal when Temple went into diplomacy. 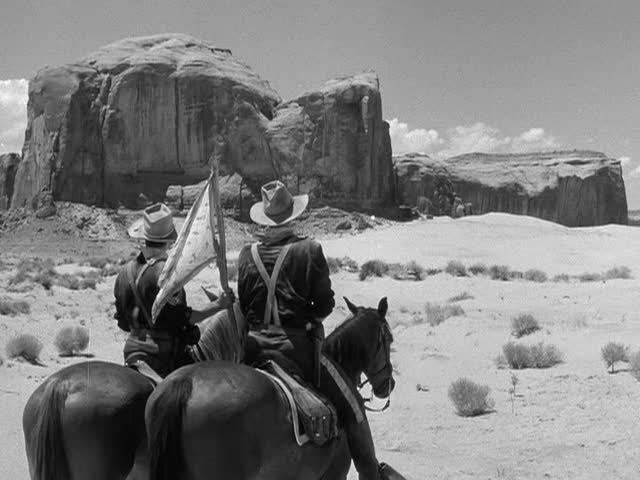 If you want to truly understand John Ford, pay attention to the women. Perhaps Thursday knows what’s coming as well: at the end of the world, the only thing he can think to do is die with a flourish. The Apaches sweep across the last stand like a force of nature: we don’t see Fonda and Bond and McLaglen and Amendariz and the rest of the men die: they are simply erased by the wave. It’s one of Fonda’s best performances. Only a truly great actor could dance like that without cracking a smile.